Skellington Manor Escape Experience offers interactive live adventure games designed for group fun. The concept: You and your team enter a themed room where you have to find clues, solve puzzles, discover keys and combinations to solve the mystery and escape the room before your time is up! The clock is ticking….. Skellington Manor Escape Games are a great activity to do with friends, family, and co-workers! Just think of the possibilities. By Reservation Only. You must book online 4 hours in advance to reserve game time. Check our online schedule for availability. (4-8 players) 60 minutes – $25 per person Objective: You and your team have slipped past heightened security at the estate of a well-known jewel thief. Your mission is to recover precious diamonds that were stolen from a safety deposit box in the heart of London’s jewelry district. Once the safe is opened you can turn off the alarms and recover the precious gems. You have only 60 minutes to find the secret stash and escape undetected before the security guard returns! (4-10 players) 75 minutes – $30 per person. Objective: Authorities have reported another missing woman in a string of strange disappearances. The Bi State Criminal Investigation Unit has selected your team to assist in finding the location of the missing girl before time runs out. You will have 75 minutes to explore this multi room escape adventure game to find clues, discover keys and combinations to locked boxes, put all the info together to complete your quest before the clock runs out. (4-8 players) 60 minutes – $25 per person. Objective: John Looney was the original Quad-Cities vice lord and also one of the nation’s earliest organized crime leaders. In the early 1920s Looney controlled a vast and unmatched empire of crime, extortion, bribery, liquor, gambling and prostitution enterprises locally. In 1922, federal prohibition authorities joined state, county and city law-enforcement officers in an anti-vice campaign aimed at cleaning up the community. Your team has 60 minutes in Looney’s 420 Club to locate Looney’s secret sachel which holds documents the feds need to throw the book at Looney once and for all. Let’s Get Looney! (25 – 50 players) 120 minutes – $40 per person. A new kind of Mystery Experience with Live Actors, Appetizers and and Cash Bar. Adult Themed. Objective: Are you ready for an evening of intrigue with friends? You’ve been invited to one of the last open 1920s Juice Joints owned by a local mobster. Rumor has it there is a snitch giving tips to the cops and the Boss wants your help identifying the dirty rat. 1920s attire encouraged so put on your fancy clothes and come out for some fun. This 2 hour Mystery Experience includes complimentary appetizers and Cash Bar with valid ID. Prohibition themed adult beverages available. 120 minute mystery experience for up to 50 people. Adult themed, players must be 21+. This is a two hour mystery experience designed for 25 – 50 players. Price per person $40 includes complimentary appetizers.  Note* Skellington Manor Event Center books a variety of special events including Murder Mystery Dinners, Receptions, Private Parties and our popular haunted attraction Terror at Skellington Manor. Our event center is a busy place and escape game time slots are subject to availability.